The “writing” code of the Monster Rangers is called “Montalk” (“monster-talk), and was developed from the scrawls of Marrow Thatch. It is a formalized version of the Montalk written language, which is believed to be created by claw scrawls. 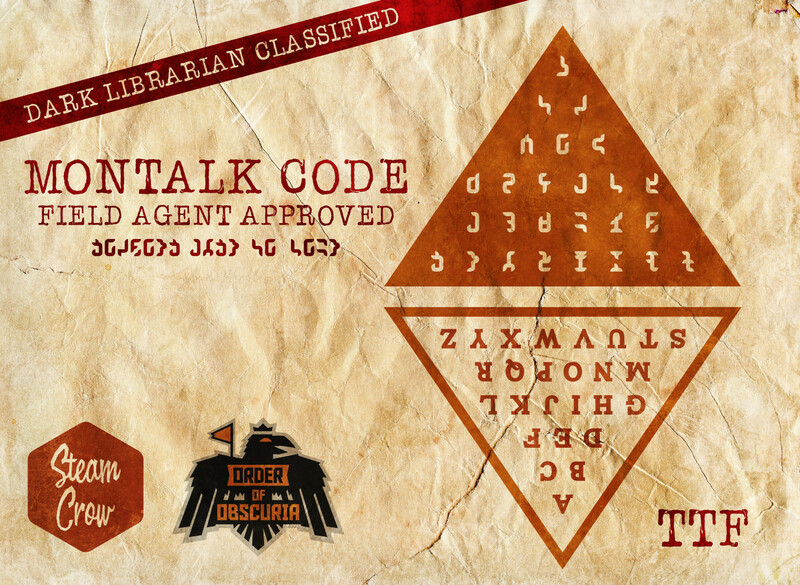 The Montalk language utilizes the same characters, but is not simply coded English. (Montalk itself sounds dangerous, utilizing growls, shrieks, and occasional howls. Montalk is, however, the nearest thing to a “common tongue” for Obscuria. We have managed to piece together a true type font for Montalk, which Members of the Order of Obscuria can download here.